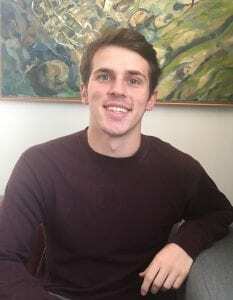 Tristan Knotts is a Senior, graduating in December 2019, at Southern Methodist University, majoring in Computer Science and Mathematics. He is a Lyle Scholar, SEAS Award recipient, and a member of the Lyle Ambassadors program, the face of the Lyle School of Engineering and Lyle’s primary recruiting organization. Tristan has held many key roles within the organizations he is involved, including Lyle Senator within SMU’s 104th Student Senate, the captain of his intramural football team, and Treasurer of the Cyber Security Club. This past summer, Tristan, worked at AT&T, a global leader in technology, media, and communications, as a software developer and project lead, designing and developing a software application. At AT&T, he gained valuable insight into the technology and communications industry, as well as experience in an innovative corporate environment. He was given a key role within a new project that allowed him to complete most of the project development lifecycle and saving AT&T operation costs of hundreds of thousands of dollars over the next few years. In the summer of 2017, Tristan, worked at the defense contractor Raytheon, as a cybersecurity intern, designing application frameworks, and conducting software testing. Tristan also worked at SMU’s Caruth Institute for Engineering Education for two weeks, teaching high school students the fundamentals of engineering, and drone piloting. Currently, Tristan works at the Hunt Institute as a project manager, where he oversees student driven projects through the project lifecycle. He was drawn to the institute by their inspiring mission to help others and provide solutions to real-world humanitarian and environmental issues. He enjoys the opportunity to make an impact on the global community, and hopefully inspire others to make a difference. Looking forward, Tristan is pursuing a full-time job opportunity for January of 2020 after he completes his Senior year. He is interested in companies that offer software development, cyber security, consulting, or IT management positions and he is willing to temporarily relocate or travel from Dallas.